When is it Time to Hire a Content Team? The launch of your small business might go hand-in-hand with the development of a business Facebook page, or perhaps a corporate Twitter account. Some entrepreneurs really start their new business right by implementing a blog and a full-fledged content strategy. As your business grows, however, so do the demands on your content marketing—and on your time. As such, many business owners eventually reach a point where they realize they cannot go the DIY content marketing route any longer; they need to outsource it to a content marketing professional. But when do you know that you’ve reached that point? What are some of the telltale signs that it’s time to call someone like Grammar Chic? You simply don’t have time for content marketing any more. Remember that content marketing isn’t a one-time thing but the cultivation of ongoing relationships with your clients—and as with any relationships, your content marketing relationships require time. It’s imperative that you have new content posted daily, and that you plan well in advance with an editorial calendar. If you don’t have the time to invest in content development any longer, it may be time to call in the A-Team. But it’s not just content development that can eat into your time. Actually posting content takes time, even if you’re automating it with something like Hootsuite. And nurturing relationships, interacting with followers and fans through social media, can be a full-time job in itself. If these responsibilities are distracting you from things like sales and business development—or, more likely, they’re simply falling through the cracks—then you may need to outsource. You’re running out of ideas. You know your business better than anyone else, and you’re certainly an expert in your niche—but we’re experts in obtaining blog topics for any company and in any field. When inspiration is hard to come by and you feel like you’re just repeating yourself, call in the professionals. You’re losing sight of results. Early in your business, when you just have 50 Facebook followers or so, it’s easy enough to tell when you’re growing your fan base and generating some social interactions. 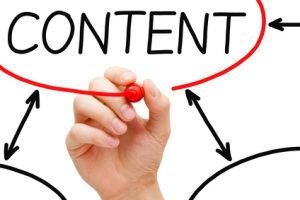 The deeper into content marketing you go, however, the harder it can be to track ROI. That’s when you call a team like Grammar Chic. You’re losing sight of content marketing’s many changes. Content marketing changes daily—and if you’re not able to keep up with reputable content marketing blogs, then you simply can’t stay abreast of significant trends. You realize you’re not the world’s greatest writer. We don’t want to sound harsh about it, but: A lot of entrepreneurs will happily admit that writing is not their primary gift. When you reach a point where you feel like you need a full-time, fully-committed writer on your account, that’s when to bring in assistance. This article was syndicated from Business 2 Community: When is it Time to Hire a Content Team?